With more demand for Information Technology professionals it seems like everyone we know is interviewing for some role at the moment. As a result we are consulting with our candidates more and more often on making them as successful as possible. With that in mind I wanted to share some of the building blocks for a great interview. The Boy Scout motto continues to be a key theme when preparing for an interview. Do you have a good understanding of the size of the company, where are they located, what is their market? Beyond those basics have you researched their products and/or service offerings? How closely does your background match up with the technologies and methodologies they use every day? If you have a list of the people you will be meeting with you should take a good look at their background – they are doing the same to you. What do you have in common? This is also a great time to look and see who you know that may already work at the company. If a friend did not refer you to this opportunity this is the time to reach out to someone you know at the company to get an overview and ask some questions. A job specification on Indeed can not possibly prepare you better for the interview than a friend or former colleague who is on the ground there today. PS – don’t forget to do this before every round. The deeper you get into the process and closer you come to an offer the more important it is to have a great grasp of the team and company. It will help you in the interview and help you decide if this is the job for you. Use your prep to take a look at yourself as a candidate for this job. Where do you see relevance in your experience that can be used to drive conversations. It is important that you are able to speak in detail about items on your resume – but it is equally important to have examples beyond what is on paper to show depth. Review those experiences in detail and be ready to speak to them clearly. Carefully consider any of the negatives associated with the projects and be able to speak to them without coming across as disparaging of former colleagues, vendors, companies. That sort of commentary does not work well in an interview setting. While you should – and hopefully did – do this before applying, take a look at your online profiles. Be aware that more and more interviewers – not just HR teams – look at your LinkedIN and other profiles in addition to and sometimes rather than your resume. Is yours up to speed? 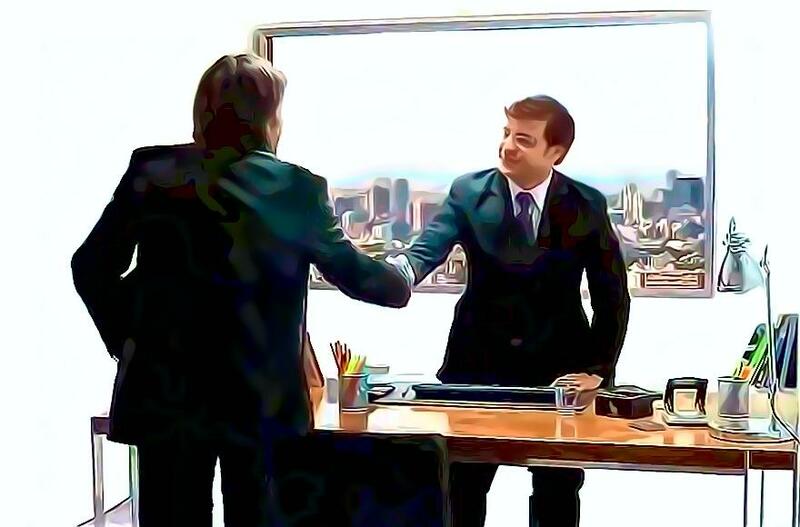 Many interviewers are not skilled at the art and will fall back on some of the oldest lines in the interview book. One of those continues to be a potential stumbling block – “What is your greatest weakness?” You may not get hired based on your answer but you could very well not get hired because of it. I advise you give some thought to this and be ready to respond with a skill you are actively working to improve. If your professional development plan has classes or mentoring as part of it I typically recommend you use that as your weakness. It shows you take your development seriously and that you give regular thought to this topic. If you aren’t doing that – what classes/training/skill might you want to improve on? That should give you a topic for this question. With technology roles companies want to know the person they hire actually brings the skill they require to the table. As a result we see testing more and more often. It helps remove some of the subjectivity from the process and gives the hiring team confidence they can focus on fit and let the test determine technical aptitude. Should your potential employer assign you a test this should become your top priority. Be sure you understand the directions very clearly. Do not be afraid to ask questions about the test to help you gain that understanding. Complete the work in a timely fashion and be sure it is done not just correctly but with a high level of thought and skill applied. When candidates approach these tests in a casual manner they nearly always (actually it may in fact be always) fail. For technical roles I don’t think I can overstate the importance of this tip! Compensation. Commute. Advancement or opportunity. Technology. If you have a clear idea of what it is that you want in a new role it will make the process so much smoother. Knowing what you want increases your ability to engage fully in the process, to know what questions need asking and to make a good decision about the job. Candidates who are actively searching typically have a sense for why they are looking but for candidates who have been contacted out of the blue that is often not the case. In both instances putting some careful thought into why you would leave your current role, what you need from a current role and whether this is the right timing to consider a move is very important. As the interview approaches a close you want to be upbeat. Express your interest in the opportunity and ask about next steps for them in the process. Is there anything they need from you (ala the test!). Be sure to follow up with a thank you email at a minimum to each person you met. If you meet with several people it is important to wrap each one of them up with an upbeat message on your part. Each person may have some unique perspective into the process – or what they are looking for from a candidate – that will help you. While there are many tips I could share the overarching tip is to be ready for the interview. Do your homework, know your skills, know what it will take for you to move and be yourself. It is a great time to be in the market for a new IT role. Even if you don’t draw the offer – or you decide the role isn’t for you – the process and network building are also invaluable. But that is another blog entry! Eric joined TSP as the Managing Partner of the project management practice. Eric has over 15 years of hands-on project management experience with clients ranging from the SMB space to the Fortune 100. He has successfully managed projects and programs ranging from small server build outs to multi-million dollar implementations. Eric’s goal in creating the project management practice is to leverage his understanding of project management into a high quality relationship for both the client and the project manager.